In the comic book industry he is best known as a letterer and writer. Salem Students Summoned to Tell Directors of Hair-Cutting Scrape. Martin DeMuth’s Drawings Accepted by College Publication. Berkeley, Cal., Aug. 27.—(Special. 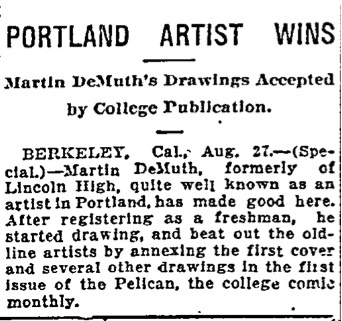 )—Martin DeMuth, formerly of Lincoln High, quite well known as an artist in Portland, has made good here. 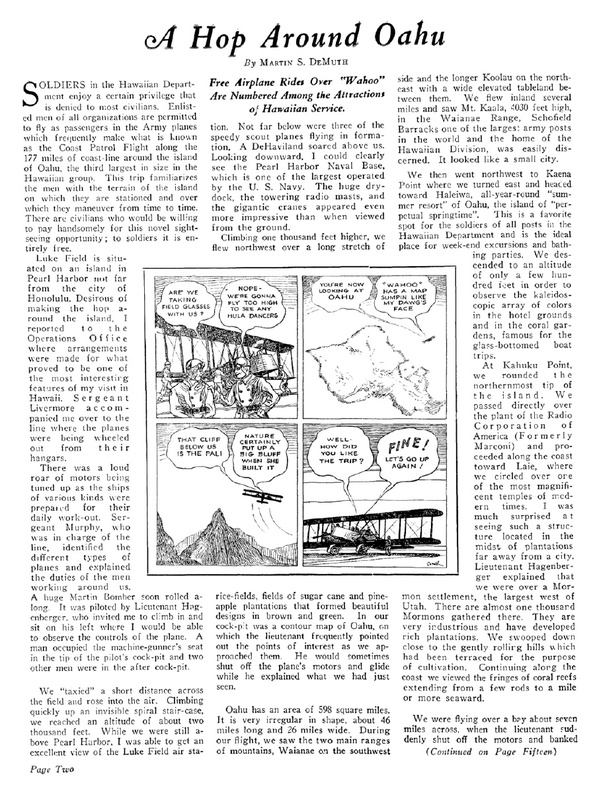 After registering as a freshman, he started drawing, and beat out the old-line artists by annexing the first cover and several other drawings in the first issue of the Pelican, the college comic monthly. 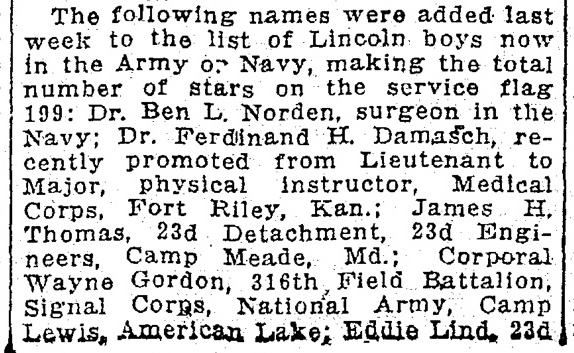 The following names were added last week to the list of Lincoln boys now in the Army or Navy, making the total number of stars on the service flag 199: ...First Lieutenant Martin DeMuth, infantry, Camp Lewis, American Lake. 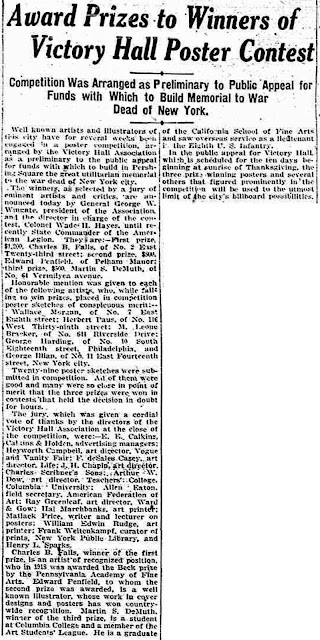 Well known artists and illustrators of this city have for several weeks been engaged in a poster competition, arranged by the Victory Hall Association as a preliminary to the public appeal for funds with which to build in Pershing Square the great utilitarian memorial to the war deed of New York city. The winners, as selected by a jury of eminent artists and critics, are announced today by General George W. Wingate, president of the Association and the director in charge of the contest. Colonel Wade H. Hayes, until recently State Commander of the American Legion. They are:—First prize, $1,200, charles B. Falls, of No. 2 East Twenty-third street; second prize, $800, Edward Penfield, of Pelham Manor; third prize, $500, Martin S. DeMuth, of No. 61 Vermilyea avenue [Manhattan]. DeMuth was not mentioned in the article. 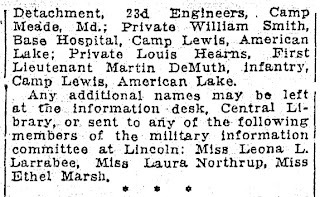 Sergeant Martin S. Demuth, Recruiting Service, recently arrived in San Francisco on the Army Transport Thomas, after a year’s travel in the Far East, where he made cartoon and poster sketches of the Army’s activities in the Orient. Sergeant Demuth was a lieutenant during the World War, and after attending the California School of Fine Arts and the University of California, enlisted as a private, U.S. Army, in search of colorful experience which would furnish ideas for a newspaper cartoon series. 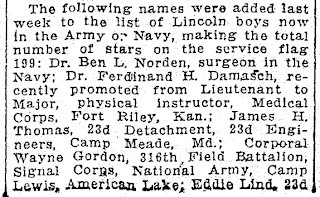 He was stationed temporarily on several vessels of the Asiatic Squadron and was with the U.S. Army in the Philippines and China and for a while with the Marines at Pekin. 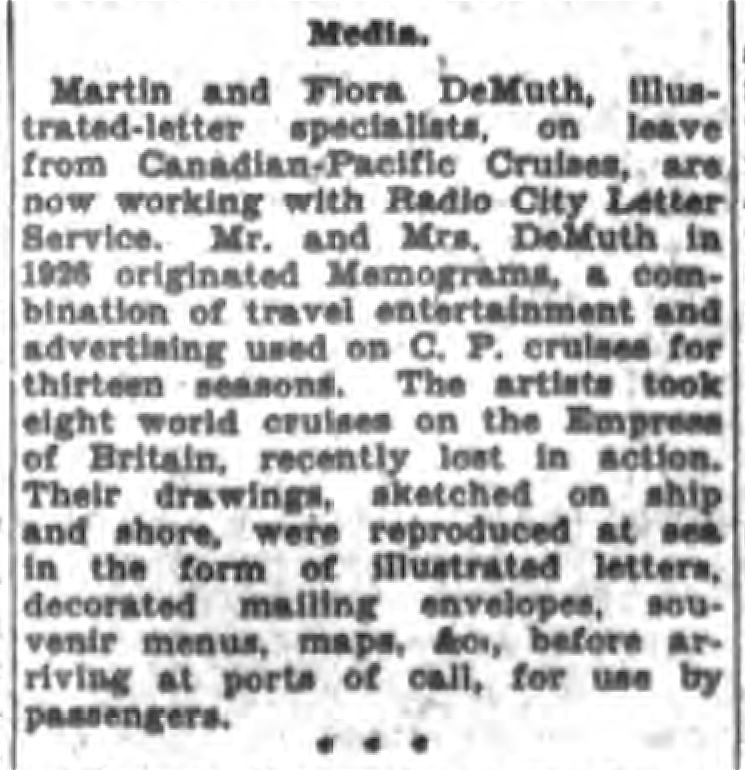 An innovation in ocean travel entertainment—and good will advertising— was introduced by two New York commercial artists, Martin and Flora Nash Demuth, on the world tour of the Canadian Pacific liner Empress of Scotland, recently completed. 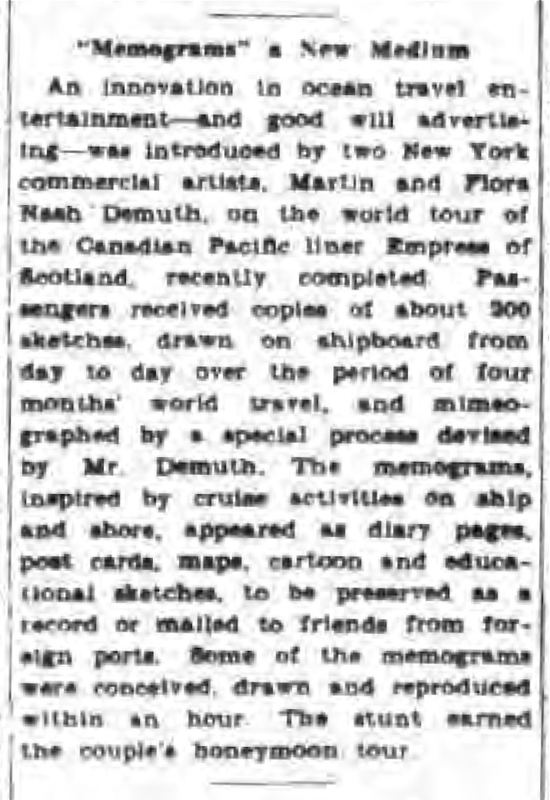 Passengers received copies of about 200 sketches, drawn on shipboard from day to day over the period of four months world travel, and mimeographed by a special process devised by Mr. Demuth. 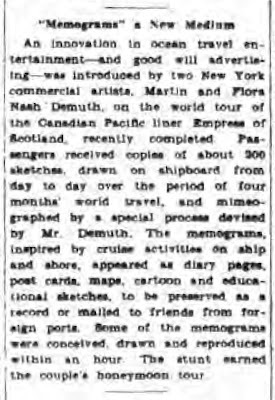 The memograms, inspired by cruise activities on ship and shore, appeared as diary pages, post cards, maps, cartoon and educational sketches, to be preserved as a record or mailed to friends from foreign ports. Some of the memograms were conceived, drawn and reproduced within an hour. the stunt earned the couple’s honeymoon tour. photograph of Martin and Flora at Ancestry.com, a subscription site. When the Empress of Britain sails tomorrow to Madeira and points east, not to return until she has made a circuits of the world, she will have on board a pair of clever young persons who have made an unusual job for themselves in these times when jobs are hard to find. They are Martin and Flora DeMuth, “Mr. and Mrs.” to the passengers, who will find their days at sea and their visits to glamourous ports recorded for them in pictures by these two young artists. For the DeMuths are a seagoing art gallery whose sketches, bound in book form, are lugged out by many a traveler who has made a world cruise on the Canadian Pacific Line and wants to tell about it, to the great relief of friends who expected to have to admire the snapshots of an amateur photographer. Mr. and Mrs. DeMuth were cudgelling their brains for ways to spend an inexpensive honeymoon, five years ago, when they hit upon the idea which has determined their unique careers for them. They had learned their craft at the Art Students’ League at the same time, but it was not until some time later, after Martin had sailed around the world with the Navy and Flora had established herself as an illustrator in New York, they met and promptly married. The problem then arose, what to do about a honeymoon? Artists are notoriously helpless in money matters, but these two were an exception. If they hadn’t money enough for a honeymoon, they had wits, and they set about using them. 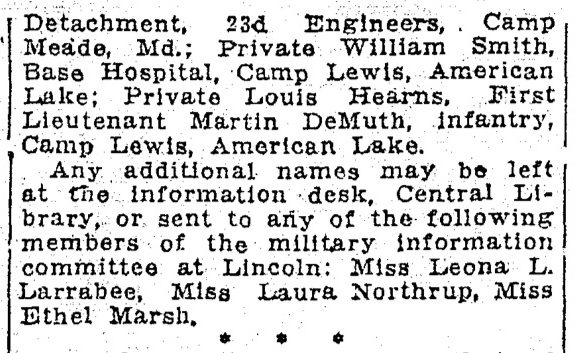 On his trip with the Navy, in the service of the War Department, Mr. DeMuth had not only made the required pictorial records of naval stations in the Orient, but had hit upon the idea of amusing the crews with informal sketches of things they saw and things that happened to them. Now he and his wife developed this idea, and when they were ready to present it they took it to the Canadian Pacific office, and then went hone and waited. Nobody has ever counted up, but if all the schemes presented to steamship companies by people who want a free trip were collected, they would probably make a set of volumes about the size of the Encyclopedia Britannica, and a good deal more fun to read. Nevertheless, an official of the line came all the way down from Montreal to talk with the DeMuths, and when he went away again their honeymoon was assured. What is more, it was to be nothing less than a world cruise. Nor were they getting anything for nothing (the line is run almost entirely by Scotchmen). 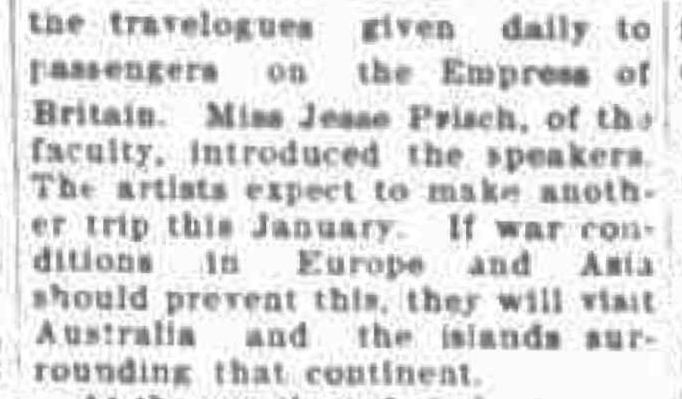 Their idea has been so successful that they are now supplying all the cruises on the line with the product of their talented pencils, and the Empress of Australia leaves New York Harbor for the West Indies today with two tons of printed matter in her hold—or wherever such supplies are kept—enough to last her for three West Indies cruises and one Mediterranean voyage. The DeMuths go on board well prepared now, for they have made all the cruises on the line, and several times. They turn out post cards as they go along, and as the ship pulls into each port they distribute to each passenger a brightly decorated letter, telling about the points of interest to be seen there, and all a passenger has to do is write the address of the home folks on the envelope, put a stamp on it, and his correspondence is much more entertainingly taken care of than he could probably manage it himself. 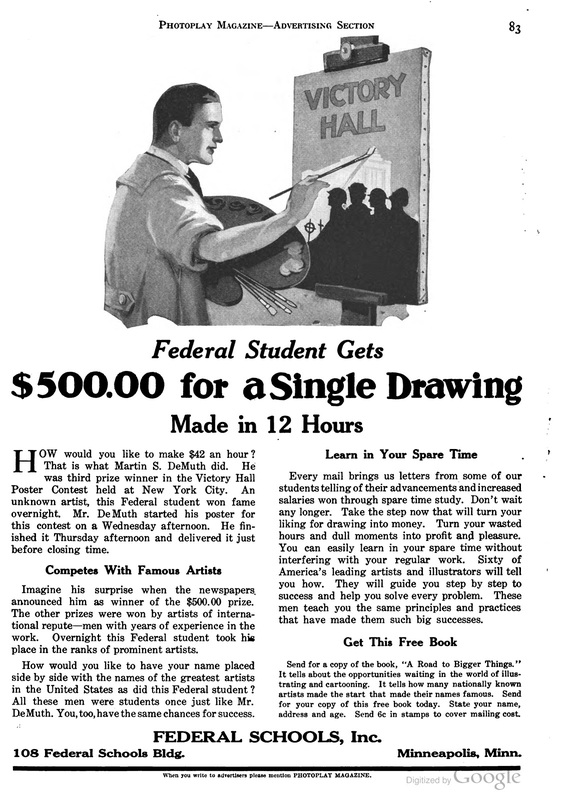 Incidentally, they had to invent a simple, quick process for printing their drawings right on board. How they do it is their secret, but one afternoon at 4 o’clock their ship sighted a waterspout in the Strait of Messina, and at each passenger’s place at dinner that evening there was a sketch of a waterspout with full scientific explanation attached. Ashore the DeMuths make all kinds of excursions, sketchblock [sic] in hand. They visit out-of-the-way corners, picturesque and historic spots, native shindigs. 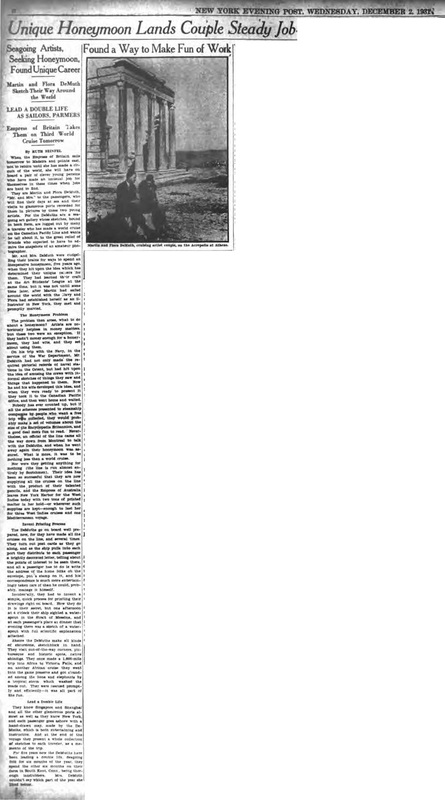 They once made a 1,000-mile trip into Africa to Victoria Falls, and on another African cruise they went into the game preserve and got stranded among the lions and elephants by a tropical storm which washed the roads out. They were rescued promptly and efficiently—it was all part of the fun. They know Singapore and Shanghai and all the other glamourous ports almost as well as they New York, and each passenger goes ashore with a hand-drawn map, made by the DeMuths, which is both entertaining and instructive. And at the end of the voyage they present a whole collection of sketches to each traveler, as a memento of the trip. For five years now the DeMuths have been leading a double life. Seagoing folk for six months of the year, they spent the other six months on their farm in South Kent, Conn., being thorough landlubbers. Mrs. DeMuth couldn’t say which part of the year she liked better. ...Before each port is reached, illustrated talks, with the aid of lantern slides, will be shown by the official lecturer, Martin DeMuth, of New York, in the course of which he will give interesting information concerning the country to be visited. Members of the Imperial Order Daughters of the Empire, in an audience numbering nearly 400, attended an illustrated talk given under the auspice of the Municipal Chapter yesterday in Tudor Hall, the speaker being Martin DeMuth, noted traveller and lecturer. The colored lantern slides and motion pictures were of especial interest to the I.O.D.E. in relation to the Empire study project which is one of its newest activities. 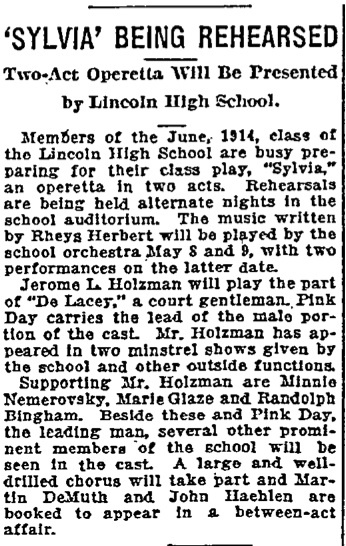 The programme was many-sided and, under the chairmanship of Mrs. J.M.C. Muir, regent of the Municipal Chapter, included songs by W.J. 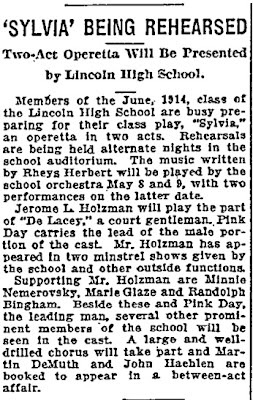 Stephenson and an organ recital and piano accompaniments by Harold Eustace Key. Mr. DeMuth prefaces his lecture on the world cruise of the Empress of Britain with a graceful tribute to the I.O.D.E. Montreal chapters that contributed comforts to the islanders of Tristan Da Cunha, which he had visited in 1928 and 1929. “Only those who have been ashore on that lonely spot can realize how greatly needed were the gifts that Montreal women of the I.O.D.E. sent by the Empress of France and Duchess of Atholl,” he said. Punctuated by ripples of laughter, Mr. DeMuth’s talk was a witty running commentary upon the scenes thrown upon the screen. He admitted he was stumped when it came to trying to explain the way in which the Neapolitans put the holes in macaroni. Speaking of Bali, Mr. DeMuth said that the natives believed in three incarnations, after the third of which, if they had been good, they were sure of heaven. “Heaven, they think, is Bali, and I am inclined to believe it, too,” he observed. Mrs. Wellington Dixon, former vice-regent of the Municipal Chapter, I.O.D.E., in moving a vote of appreciation to Mr. DeMuth, made a happy reference to the opening songs, “Mandalay” and “For To Admire And For To See,” which she said, “attuned us to what was to follow.” She coupled the names of Messers. Stephenson and Harold Eustace Key in the vote. Names of the men and women who will be guides, philosophers and friends to this Winter’s globe-trotting tourists aboard the Canadian Pacific liner Empress of Britain have just been announced here. The Empress sails on her world cruise from New York on Jan. 8 and this season will include Australia and New Zealand in her itinerary. Martin DeMuth, world traveler and sketch artist, presented an interesting travelogue in assembly on Tuesday. 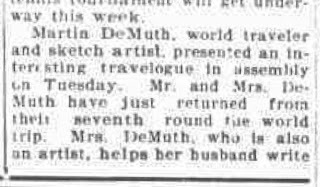 Mr. and Mrs. DeMuth have just returned from their seventh round the world trip. 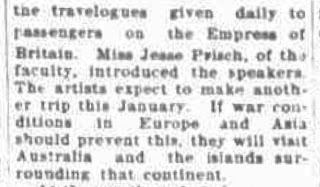 Mrs. DeMuth, who is also an artist, helps her husband write the travelogue given daily to passengers on the Empress of Britain....The artists expect to make another trip this January. If war conditions in Europe and Asia should prevent this, they will visit Australia and the islands surrounding that continent. 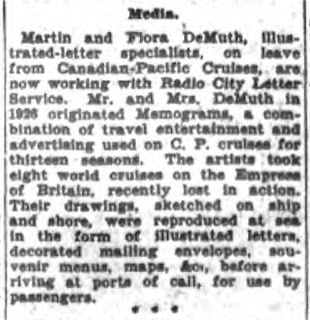 Martin and Flora DeMuth, illustrated-letter specialists, on leave from Canadian-Pacific Cruises, are now working with Radio City Letter Service. Mr. and Mrs. DeMuth in 1926 originated Memograms, a combination of travel entertainment and advertising used on C.P. cruises for thirteen seasons. The artist took eight world cruises on the Empress of Britain, recently lost in action. Their drawings, sketched on ship and shore, were reproduced at sea in the form of illustrated letters, decorated mailing envelopes, souvenir menus, maps, [illegible], before arriving at ports of call, for use by passengers. Martin DeMtuh, artist and lecturer, will speak on the topic, “Our Allies,” in assembly Tuesday morning, October 6, at the New Paltz State Teachers’ College. Ten trips around the world, visiting all of the countries which are included in the United Nations and studying the characteristics of their people, have provided De Muth with an insight into the people who are fighting for democracy’s cause around the globe. Mr. De Muth is a graduate of the Art Students League of New York, the California School of Fine Arts and studied at the University of California and Columbia University. He left college to enter the World War where he saw overseas action with the 8th U.S. Infantry. He left the service with the rank of captain. 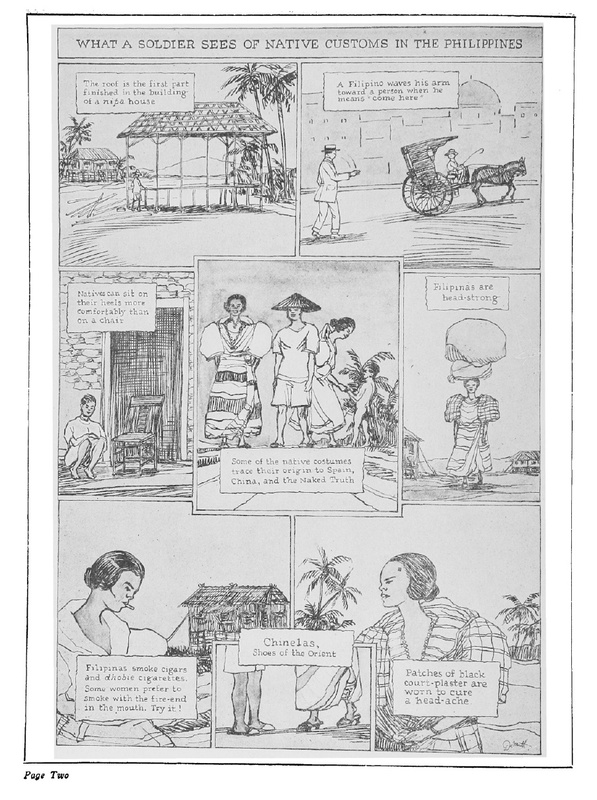 An assignment by the War Department in 1924–25 consisted of making some sketches in the Orient started De Muth on world wide travels. His talent for sketching combined with his interest in foreign places won for him an assignment with the Canadian Pacific cruises. 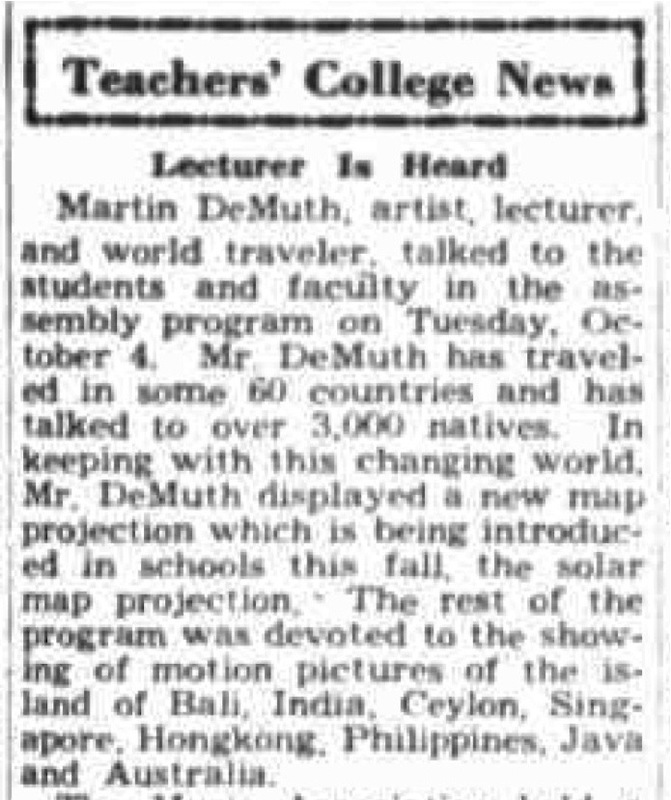 De Muth was official lecturer on 12 such cruises, gave publicity lectures ashore, edited newspaper at sea and conducted special cruise director training courses and made official films for Canadian Pacific. His splendid lectures illustrated by motion pictures and his gay drawings bring a new interest in our Allies and the lands from which those who are fighting side-by-side with the American doughboys. Martin DeMuth, artist, lecturer, and world traveler, talked to the students and faculty in the assembly program on Tuesday, October 4. 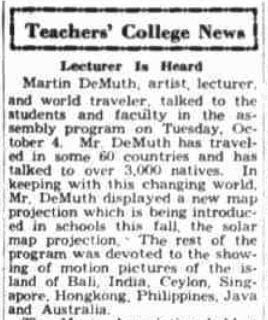 Mr. DeMuth has traveled in some 60 countries and has talked to over 3,000 natives. In keeping with this changing world, Mr. DeMuth displayed a new map projection which is being introduced in schools this fall, the solar map projection. 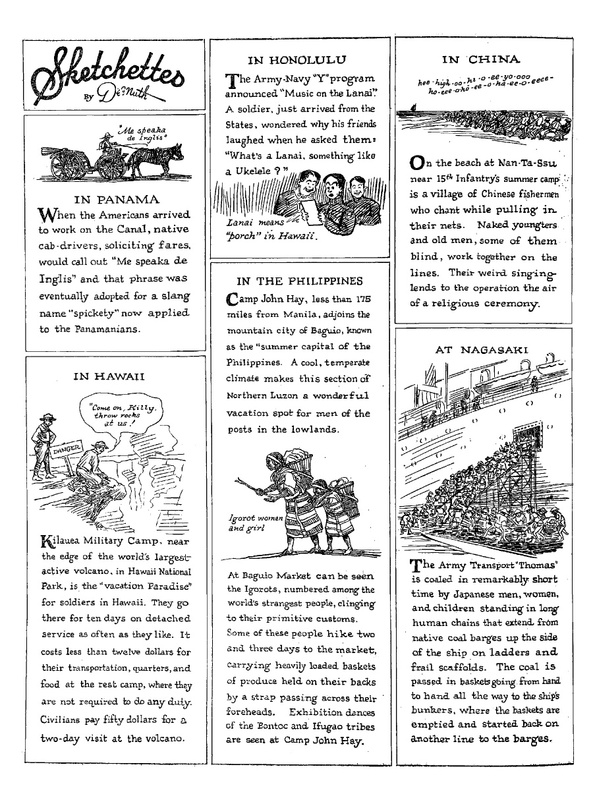 The rest of the program was devoted to the showing of motion pictures of the island of Bali, India, Ceylon, Singapore, Hongkong, Philippines, Java and Australia. 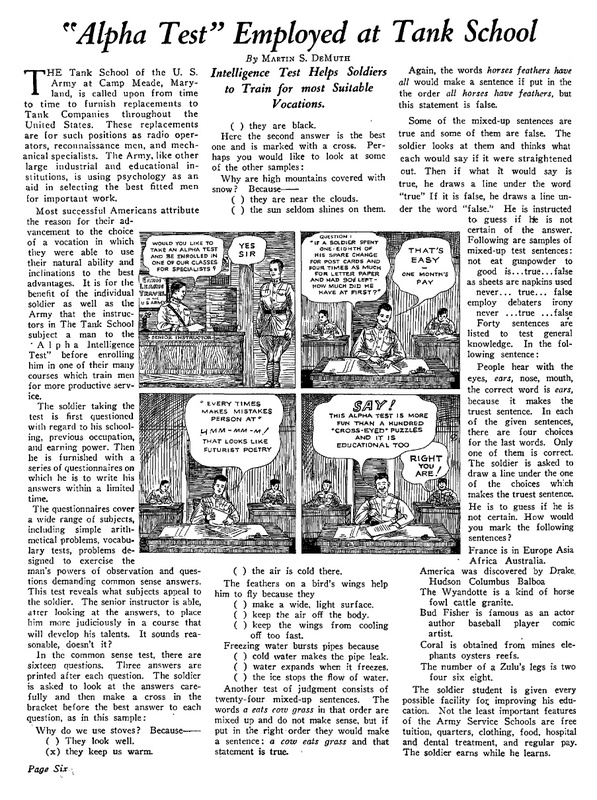 The Spirit weekly section, as written by Bill Woolfolk and penciled and inked by Lou Fine in Eisner’s absence, was still being produced in Connecticut at the Quality Comics offices, and it continued that way while Eisner settled into his new office and hired a skeleton staff capable of assisting him with the feature. 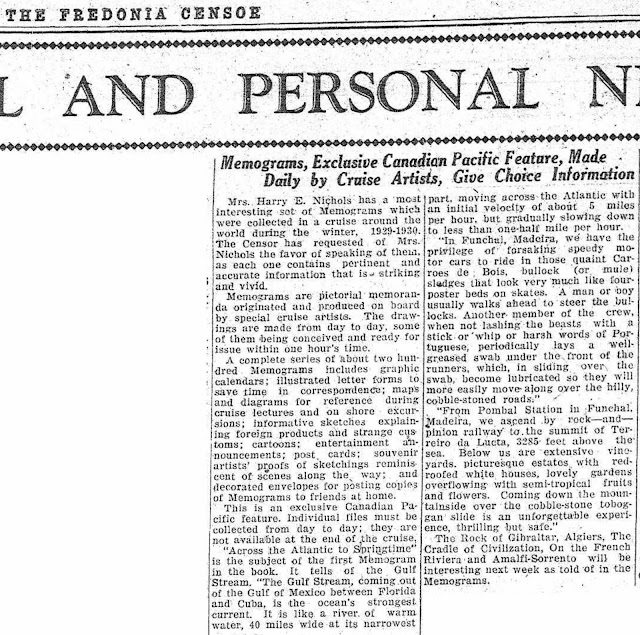 Martin DeMuth, who had been lettering The Spirit since December 1942, was retained in the same capacity; but Lou Fine, who wanted to go into commercial art, was out. He was replaced by John Spranger, who penciled over Eisner’s layouts and rough pencils while Eisner himself did most of the inking and coloring. Compared with the staff Eisner had been working with at his old Tudor City studio, this was a small group, but Eisner was comfortable with it—enough so that he’d never again employ so large a staff to work on The Spirit section. 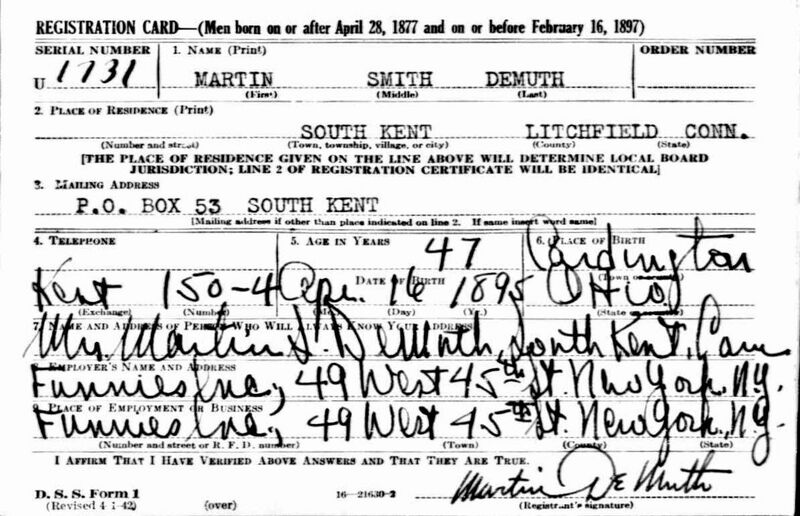 DeMuth—Martin, of South Kent, Conn., March , after a short illness; survived by his wife, Mrs. Flora Nash DeMuth. Services Monday, March 6, 2:30 P.M., Bull Funeral Home, Kent, Conn. Cremation at the Ferncliff Crematory, Hartsdale, N.Y. In lieu of flowers, contributions may be made to the Heart Fund for research. Martin DeMuth, South Kent, 65, died at New Milford Hospital on Thursday after a short illness. He was a well-known artist, lecturer and world traveler. He was born in Cardington, Ohio, April 16, 1895, son of the late Smith DeMuth and Harriet (White) DeMuth. 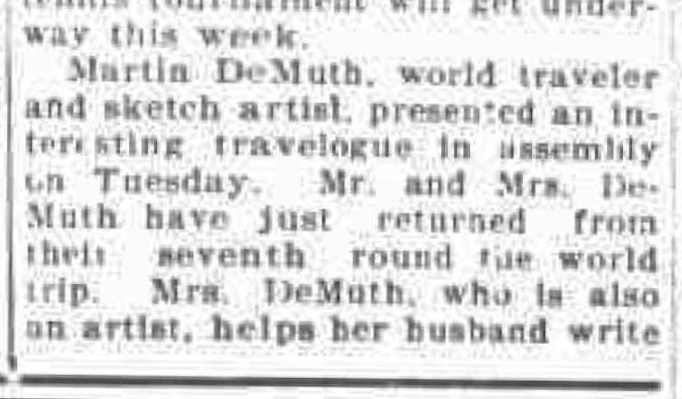 Mr. DeMuth is survived by his wife, Flora Nash DeMuth, South Kent, who is also an artist. He also leaves several nieces and nephews. He made South Kent his home since 1930. 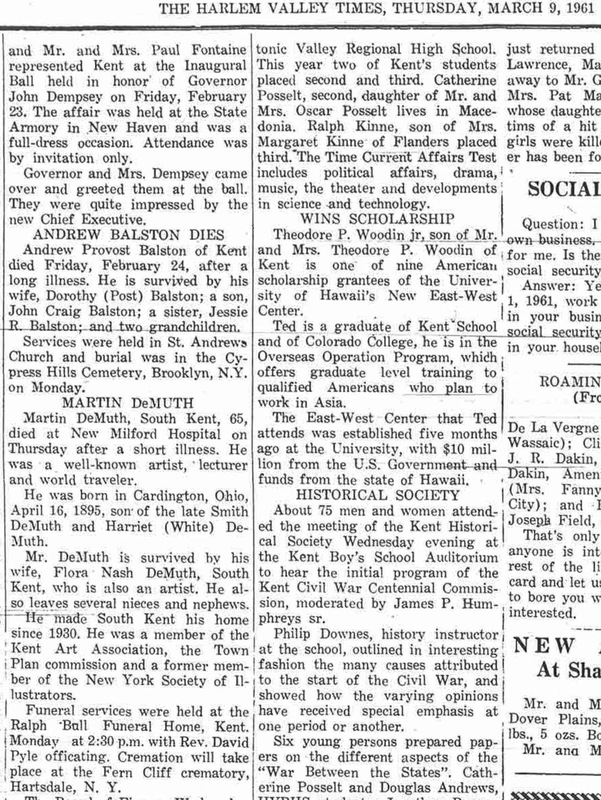 He was a member of the Kent Art Association, the Town Plan commission and a former member of the New York Society of Illustrators. Funeral services were held at the Ralph Bull Funeral Home, Kent, Monday, at 2:30 p.m. with Rev. David Pyle officiating. Cremation will take place at the Fern Cliff crematory, Hartsdale, N.Y. Thus began fourteen winters of sailing the “seven seas,” illustrating the world and its people, while Martin DeMuth also gained an international reputation as a World Cruise Lecturer. Then World War II literally took the ships right out from under their feet. “Landlubbers” again, they turned their talents in other directions in the New York art field and continued developing a small estate in Connecticut. After DeMuth succumbed to a sudden heart attack in 1961, Mrs. DeMuth moved to Hawaii, those favorite islands often visited on their travels, where she now lives near Honolulu. I just came across this page... Martin was a distant cousin of mine. Yes, he's probably related to the painter Charles Demuth, though I haven't proven the connection yet... their ancestors both passed through Bucks County, Pennsylvania, anyway. Thanks for all your work, I can't wait to read this all slowly and completely. What a life he had!